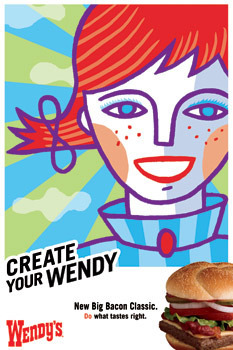 To dramatize how Wendy’s lets you customize your meal, we hired artists around the world to customize Wendy herself. The result? A striking series of in-store posters, viral videos, cinema ads, and a microsite where customers could create their own one-of-a-kind Wendy.